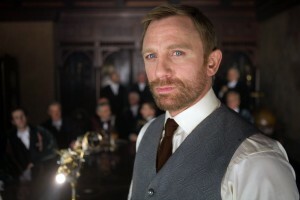 Adapted from the novel Northern Lights, first in Philip Pullmann’s best-selling His Dark Materials trilogy, The Golden Compass is about orphaned tomboy Lyra (Dakota Blue Richards) lives with her uncle Lord Asriel (Daniel Craig) in a world where people’s souls manifesrt as animal companions called daemons. When Lyra’s friend, Roger, is kidnapped by Gobblers, she vows to rescue him. Help comes in the shape of an offer from the enigmatic Mrs Coulter (Nicole Kidman) and the priceless gift of an alethiometer, a golden compass. This device answers truthfully to any question it is asked, but first Lyra must learn how to decipher its mysterious symbols. 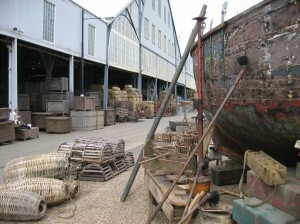 The sequence The Landing of Lyra and the Gyptians at the fictional Norwegian port of Trollesund was filmed at the Historic Dockyard Chatham . When Lyra first disembarks at the town of Trollesund, she did, in fact, step straight into the dockyard, where the Mast Houses and Mould Loft were dressed to look like the town’s harbour. CGI mountains were added to the background to create the illusion that the town has a fjord setting. The meeting between Lyra and Lee Scoresby (Sam Elliot) was set in the impressive Slip 3, a great domed space built in 1838 which at the time of its construction was the largest timber structure in Europe. Philip Pullman’s trilogy was first published in 1995 and won critical acclaim in the form of the coveted Carnegie Medal for Children’s fiction. The novels draw their inspiration from Milton’s Paradise Lost and like Harry Potter; have attracted their fair share of controversy. The Historic Dockyard Chatham boasts a variety of buildings with period features ranging from Georgian to Victorian, right up to modern day and is becoming a popular film location and has been used by productions such as Sherlock Holmes (2009), Oliver Twist (2007) and Children of Men (2006). 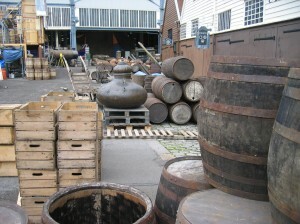 The location is in the care of the Chatham Historic Dockyard Trust, an independent charity whose task is to restore and preserve this important part of Britain’s national heritage. The Golden Compass was released in cinemas in 2007 and is now available to buy on DVD. This entry was posted in Filmed in Kent and tagged Daniel Craig, feature film, Nicole Kidman, Phillip Pullman, The Golden Compass film locations, The Historic Dockyard Chatham. Bookmark the permalink.